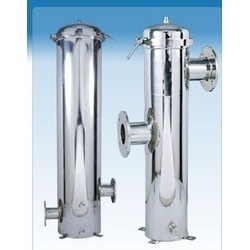 We are a leading Exporter of micron cartridge filter from Ahmedabad, India. String-wound filters are among the most commonly used filteration media for reducing sediments and other suspended impurities in liquids and water. Yarn consists of continuous filaments so no fibres to come loose or migrate. New winding technology having continuously controlled pitch,number of crossings and space between each strand of yarn. High structural integrity and more consistent performance to hold dirt. Higher flow rates with low pressure drops. Environmentally friendly disposal and incinerates to trace ash.